After I have dealt mostly with real old hard- and software (maybe except the new Auna tape recorder and the vDriveZX ZX Microdrive „upgrade“) I would like to look into new ZX Spectrum related expansions. Due to the fact that nowadays you can have thousands of software titles for your ZX Spectrum within a few mouse clicks – usually from the World of Spectrum – the demand for more and faster storage devices (compared to tape recorder or ZX Microdrive) has increased. Some years ago an interface hardware was designed which sports an (then) standard 16Bit parallel ATA (IDE) connector: The DivIDE. This enabled the user to connect storage devices like compact flash cards to their ZX Spectrums. 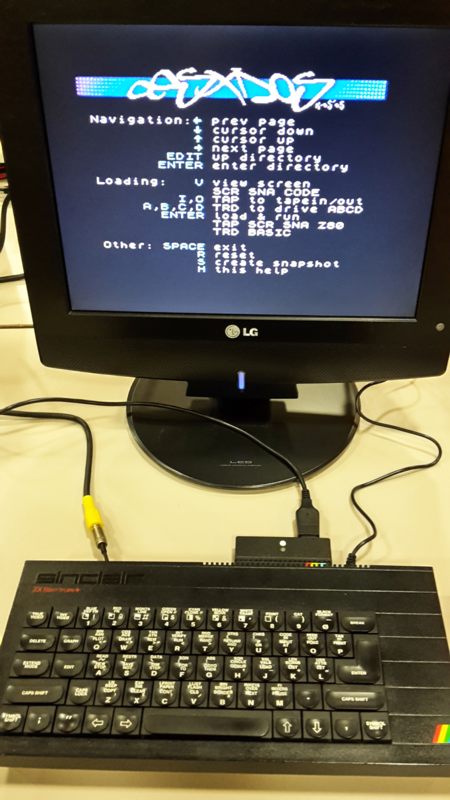 Beneath being cheap they are – in comparison to classic ZX Spectrum media – much faster and have incredible high capacities in the mega- and gigabyte range. Of course the humble 8bit ZX Spectrum isn’t able to manage these functionality out of the box. So beneath the pure IDE hardware some clever people wrote the corresponding software which is more like a little firmware based operating system: esxDOS. 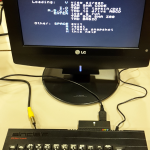 It reads FAT16 or FAT32 formatted IDE media and enables the ZX Spectrum to directly load emulator based file formats like TAP files. Further it is able to emulate a tape recorder or a Betadisk system (incl. the related TR-DOS environment). The original divIDE design was made open source which lead to new variants of the base interface. The most recent ones are developments, which are able to read, write and manage Secure Digital (SD) cards: The divMMC family. 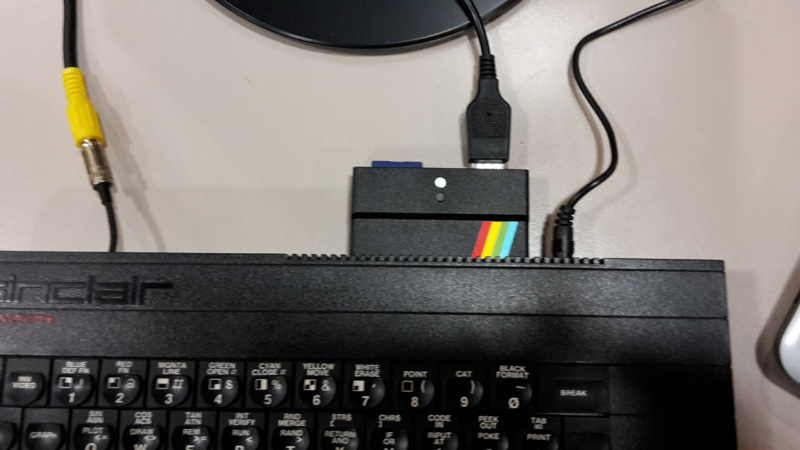 I purchased the neat little SD card capable DivMMC Future which also has a Kempston compatible joystick interface. I equipped it with a 4 GB Platinum SD card and happily loaded it with backups from my own software (and data) – and of course with classics from the World of Spectrum. 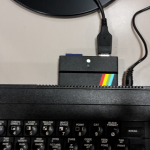 Working with a divMMC converts the Sinclair ZX Spectrum into a really nice retro computing system – it’s fast, it’s simple and it’s huge (in comparison to the ol‘ times). Well done! By the way: Not only the hardware base is divers but the user has the choice on the software (firmware) side as well. Nevertheless the constantly maintained and developed esxDOS seems to be the most prominent one.